It was great to be a suggested travel insurance provider on The Martin Lewis Money Show. 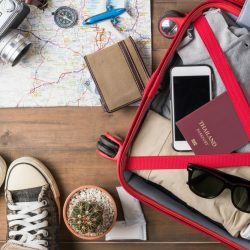 Leading financial expert, Martin Lewis raised a lot of valid points about how you can make sure you get the right travel insurance cover, at the right price. Basic travel insurance – like the policies of some bank accounts – often provide no cover for pre-existing medical conditions. Or the premium greatly increases once conditions are included. On the other hand, specialist travel insurance providers have the expertise to offer right cover at a sensible price. Not got around to buying your travel insurance yet? If you have a pre-existing medical condition, it can be vital that your travel insurance includes cancellation cover. If you have a last-minute medical emergency, you won’t want to lose out on the money you’ve spent if you can’t travel. Provided you declare all your medical conditions at the time you take out your policy, you should be able to recover your costs and re-book your holiday for when the doctor declares you well enough to travel. In the show, Martin also talks about the EHIC. 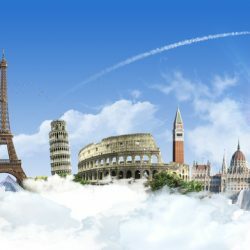 He explains that travel insurance often includes cover for repatriation and cancellation (as well as lost or stolen baggage) – all of which you don’t get with an EHIC. So don’t take the risk – take out comprehensive travel insurance as soon as you’ve booked your holiday. Which means all that’s left to do is enjoy your trip! And should anything happen.. your specialist insurance will take care of you 24/7 – wherever you are. We hope to help you travel with peace of mind soon!